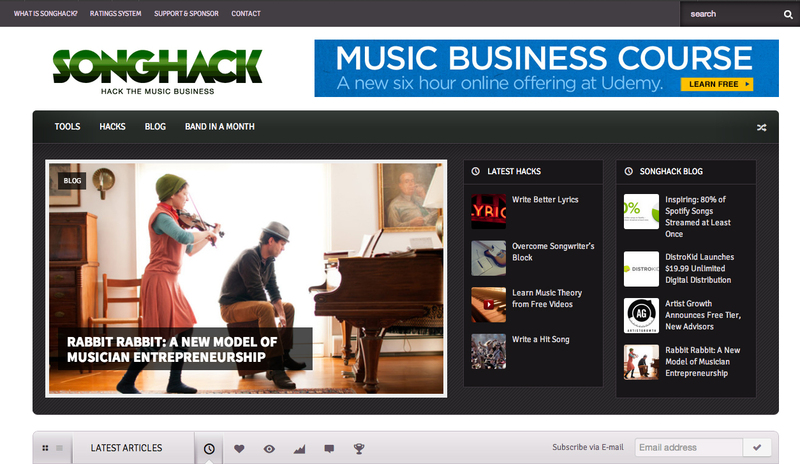 Songhack helps artists “hack the music industry”. It’s a consumer guide to over 100 digital products and services targeted at musicians. The site features news, resources and coaching content to help musicians make money. We feature original content alongside the best content for musicians from around the web. We wrote 95% of the content on the site, and customized a premium WordPress theme to produce a distinctive, media-rich website.